Are you aware of the health dangers of fragrance? I’m sure I don’t have to tell you that “mountain fresh” laundry detergent is not made of scents derived from a fresh mountain. Product manufacturers have been working for years to warp our sense of what “clean” smells like, and they’ve been succeeding, haven’t they? When there are 200 laundry detergents to choose from, at roughly the same price, how are you going to decide which one is best? The smell! Unfortunately, these scents typically come from petroleum-based fragrances that are more likely to cause hormone disruption and allergic reactions than the snuggly-soft feelings and scents they promote. One of the uses of phthalates is in fragrances, where they stabilize synthetic perfumes. If the product you have in your hand says “fragrance” on the bottle, there is a very high chance that there are phthalates in there. Phthalates are in approximately 75% of ALL scented products! Both the EPA and the Department of Health and Human Services have labeled some types of phthalates as “probable carcinogens” — which means they cause cancer in animals and may cause cancer in humans. The FDA calls them “possibly harmful.” The EU has banned some of them outright. All this because of our obsession with scents and fragrance! Is it really worth it? 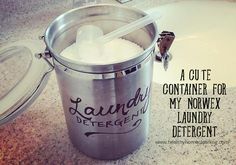 I know a lot of people are hesitant to rely on natural or unscented cleaning products because they’re not familiar with the lack of scent, and they don’t feel like their clothes, counters, or bathtubs are clean. Your bathroom doesn’t have to have a lingering bleach scent, your floors don’t have to smell like fake lemons in order to be clean, and your laundry doesn’t have to smell like some manufacturer’s made-up concoction of a “fresh linen” scent. The real smell of clean might in fact involve mountains, rain, or a fresh Irish spring. The problem is that none of the fragrances we’re familiar with actually smell like these places. The cleanest, most sterile places in nature are not going to have a scent. If you climb to the top of the mountain, what are you going to smell? Fresh air. What does fresh air smell like? Nothing! That’s the truth about the real smell of clean. The real smell of clean does not fit in a bottle. It does not have a name, and you cannot create it by filling a spray bottle with a special mixture of chemicals. The real smell of clean is nothing. If you really LOVE your house to have a smell, not all fragrances are dangerous. Any of the scented Norwex products are made with “safe scents” that are non-toxic, phthalate free and won’t aggravate allergies. One of the favorites among Norwex fans is the Odor Eliminator which uses enzymes to kill the bacteria that cause bad smells and has a lovely (but temporary) light scent. It’s great in the washing machine or sprayed over furniture where pets may have left their unpleasant smells. 4 Ways To Get Rid Of Bad Odors Naturally! Use This, NOT That! Norwex Mop System vs. Chemical Disposable Mop Systems Norwex Toilet Cleaner – Review Use This, NOT That! 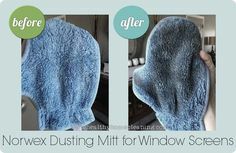 Norwex Oven Cleaner vs. Chemical Oven Cleaner Stay Healthy and Clean in Your College Dorm with Norwex! !